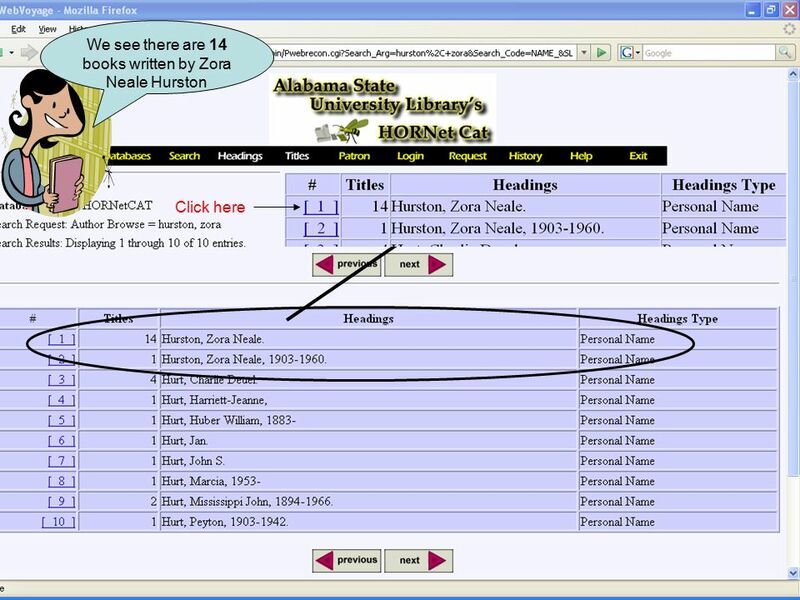 Introduction to the Library Catalog: HORNet Cat To be used in conjunction with HORNet Cat. 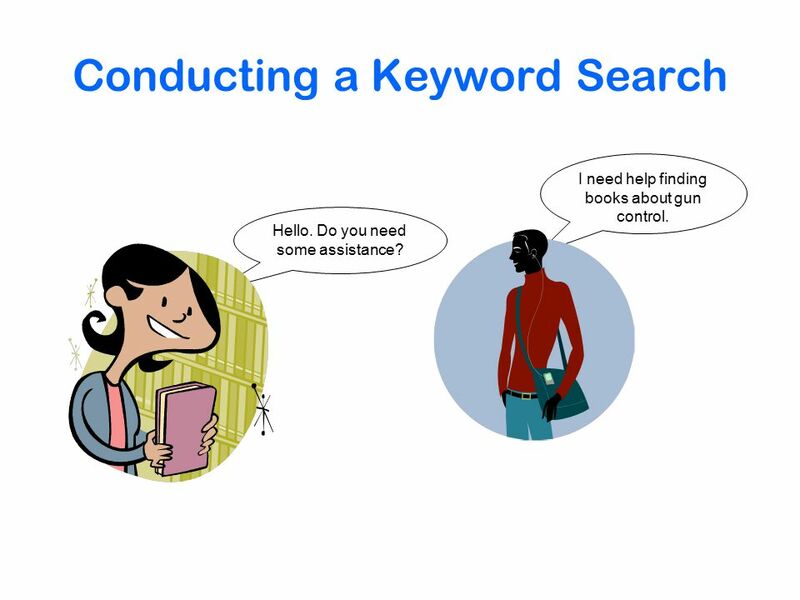 3 Conducting a Keyword Search I need help finding books about gun control. Hello. Do you need some assistance? 6 Entering without quotation marks yields too many results. 8 Entering with quotation marks yields only 47 results. 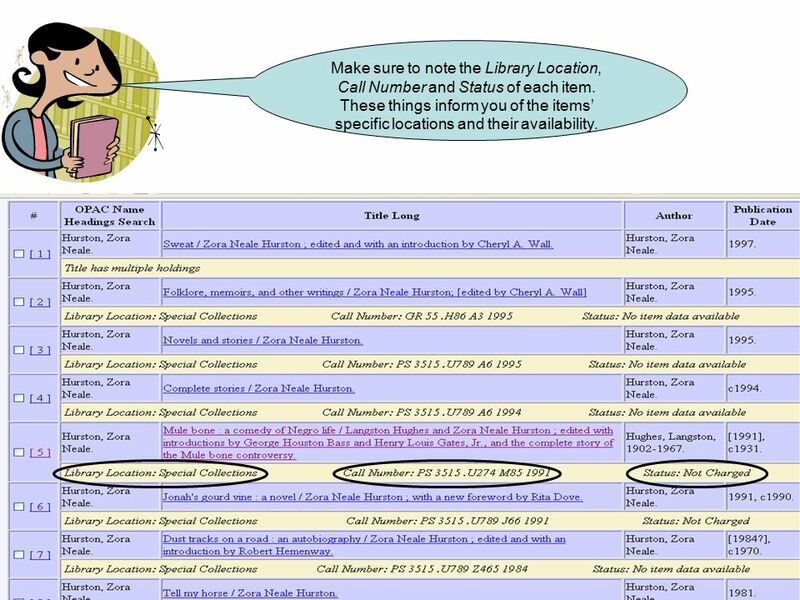 9 Make sure to note the Library Location, Call Number and Status of each item. These things inform you of the items’ specific locations and their availability. 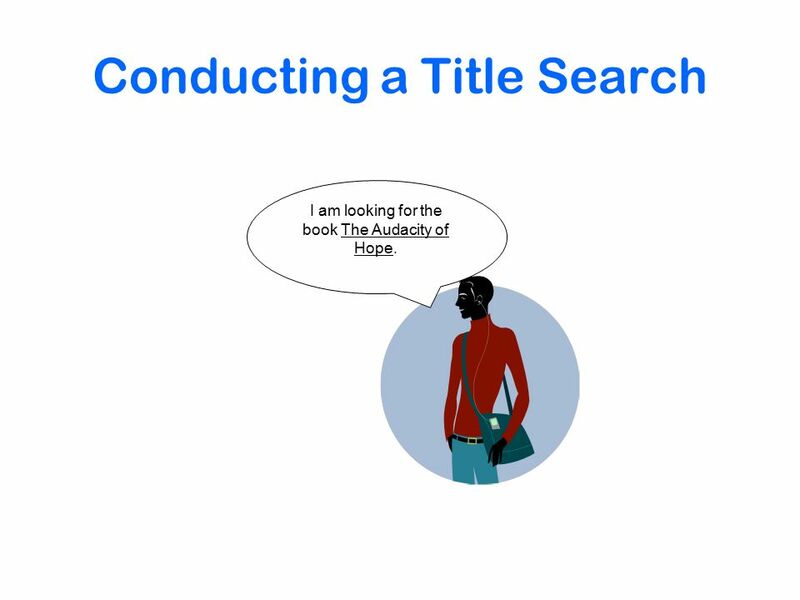 10 Conducting a Title Search I am looking for the book The Audacity of Hope. 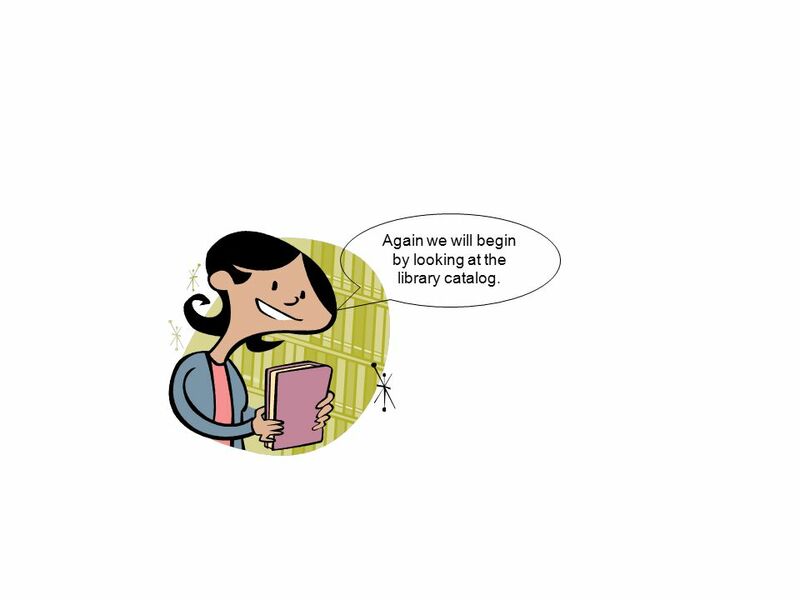 11 Again we will begin by looking at the library catalog. 14 Remember to pay close attention to the item’s location. 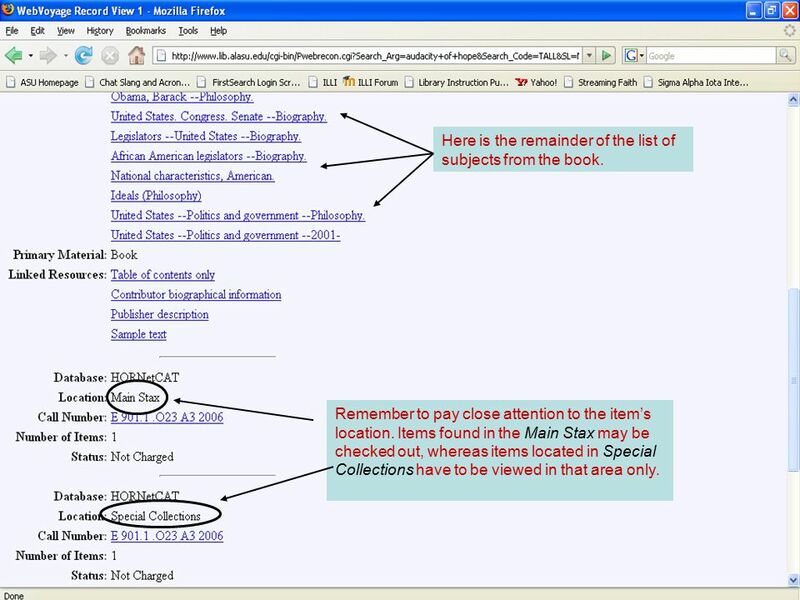 Items found in the Main Stax may be checked out, whereas items located in Special Collections have to be viewed in that area only. Here is the remainder of the list of subjects from the book. 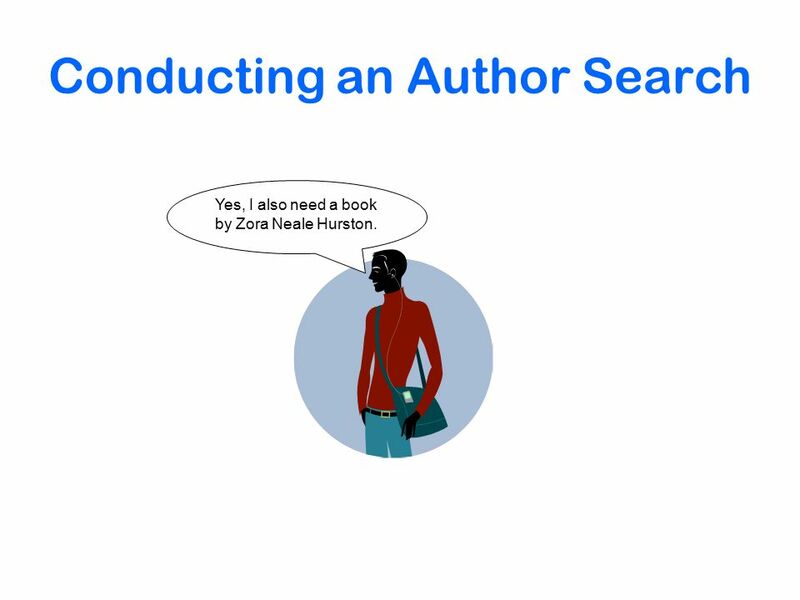 15 Conducting an Author Search Yes, I also need a book by Zora Neale Hurston. 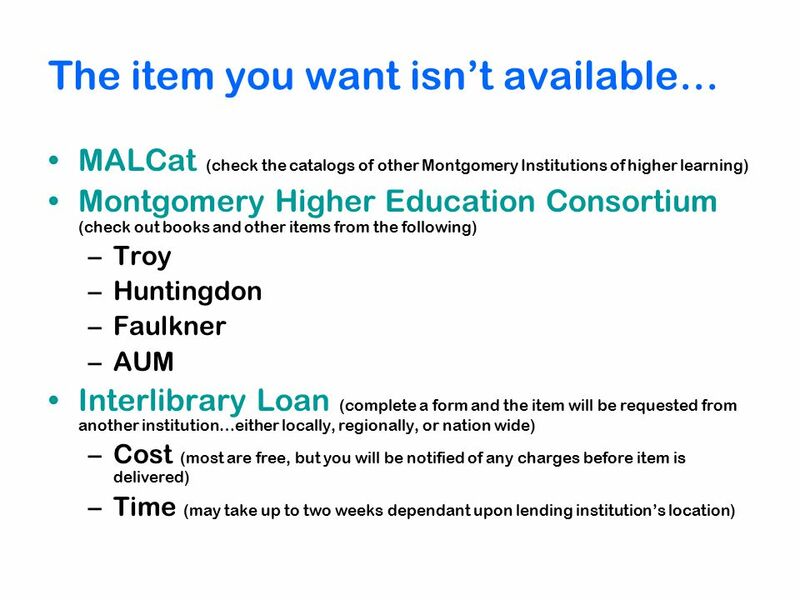 18 Make sure to note the Library Location, Call Number and Status of each item. These things inform you of the items’ specific locations and their availability. 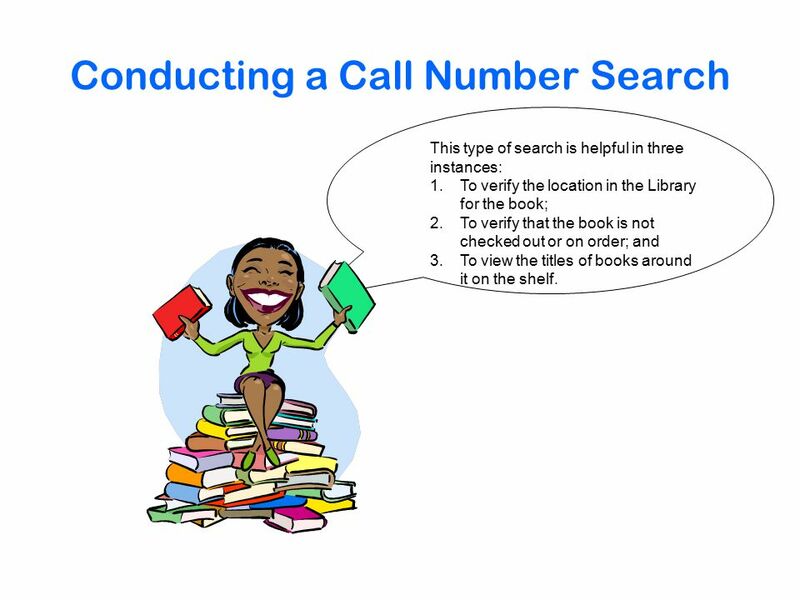 19 Conducting a Call Number Search This type of search is helpful in three instances: 1.To verify the location in the Library for the book; 2.To verify that the book is not checked out or on order; and 3.To view the titles of books around it on the shelf. 20 When you have only the call number for a book, enter it as shown. 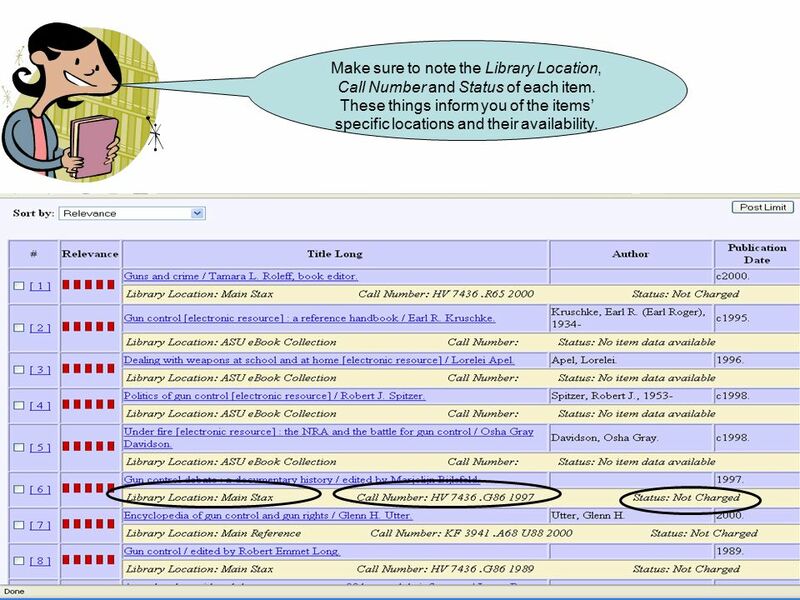 Then, select Call Number from the Find Results in box. 21 Click here to view information about the book you searched for Scroll down, or press the previous and next buttons to see what comes before an after your item on the shelf. 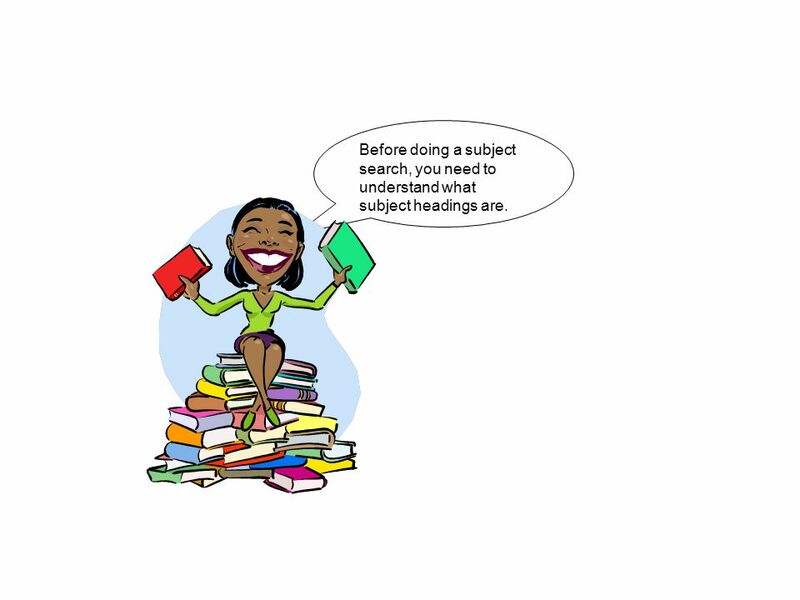 23 Before doing a subject search, you need to understand what subject headings are. 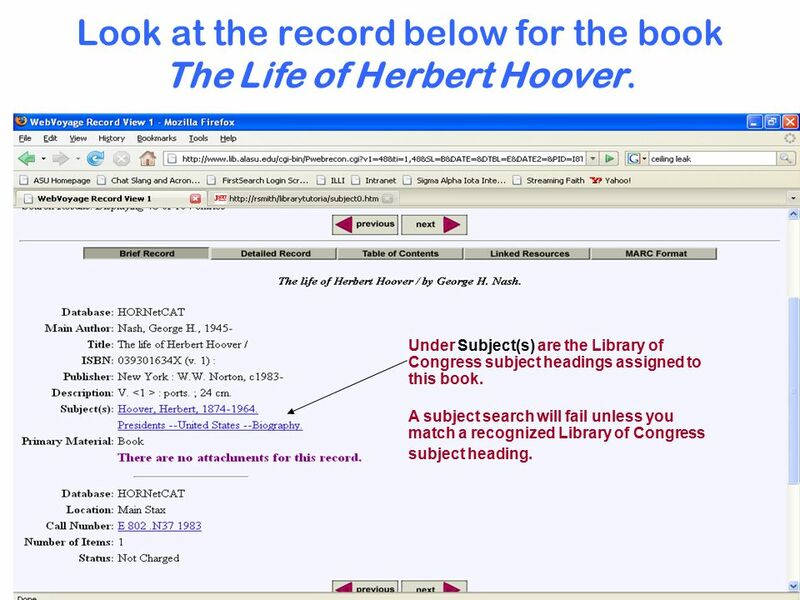 24 Look at the record below for the book The Life of Herbert Hoover. 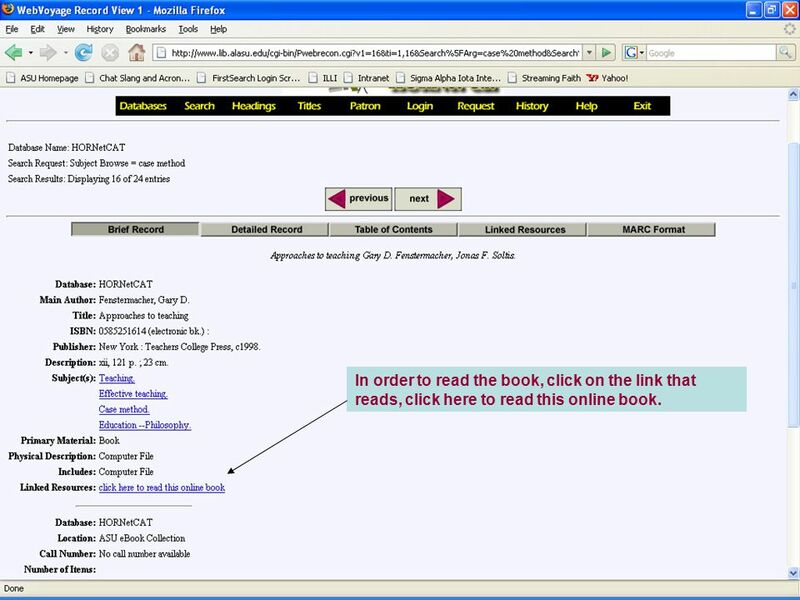 Under Subject(s) are the Library of Congress subject headings assigned to this book. 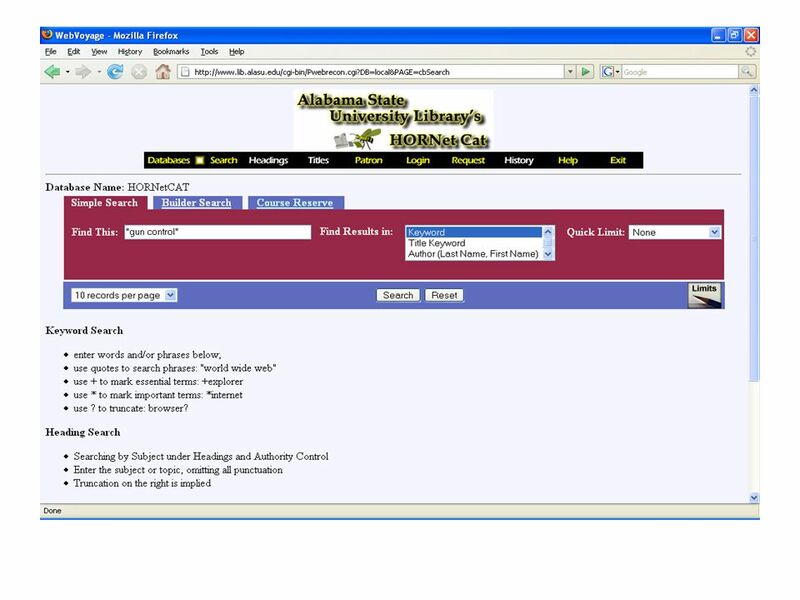 A subject search will fail unless you match a recognized Library of Congress subject heading. 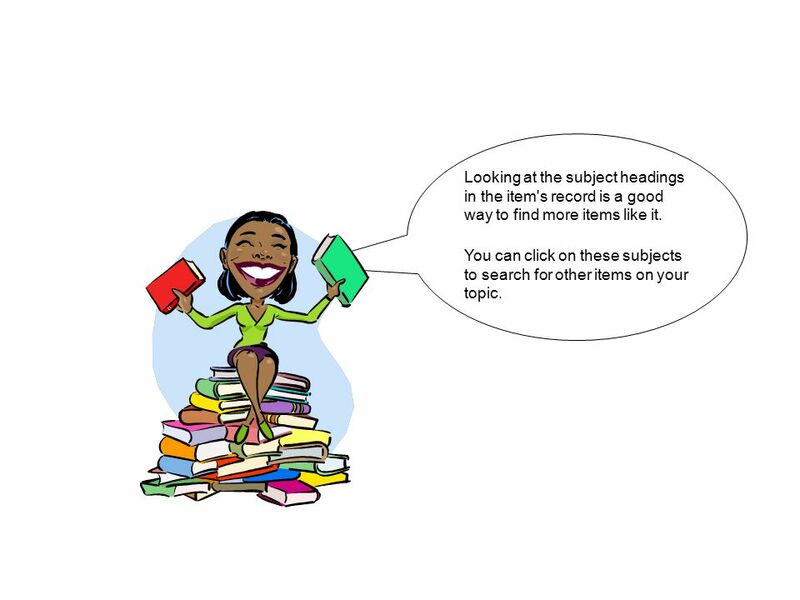 25 Looking at the subject headings in the item's record is a good way to find more items like it. You can click on these subjects to search for other items on your topic. 26 Let's practice. Click on Presidents--United States--Biography below. 27 This is an alphabetical list of subject headings, beginning with Presidents--United States—Biography. 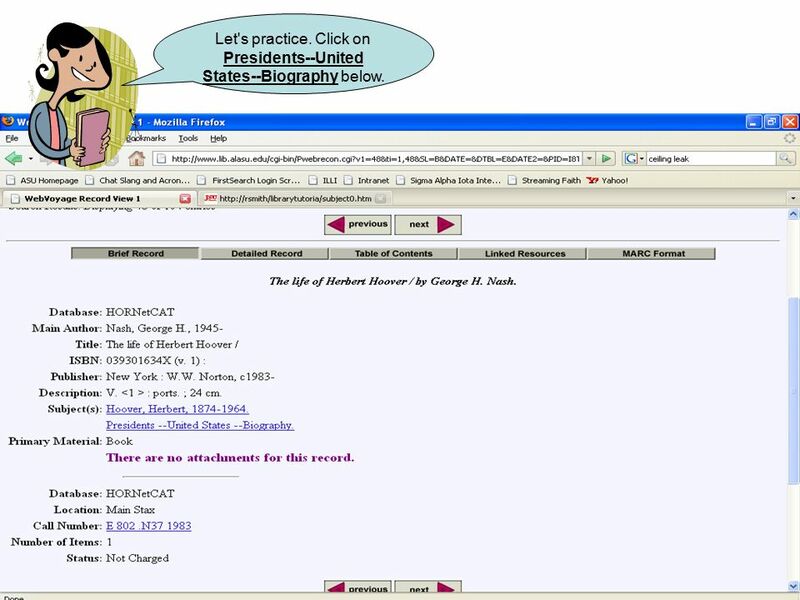 28 Look at the first subject heading, Presidents--United States--Biography. 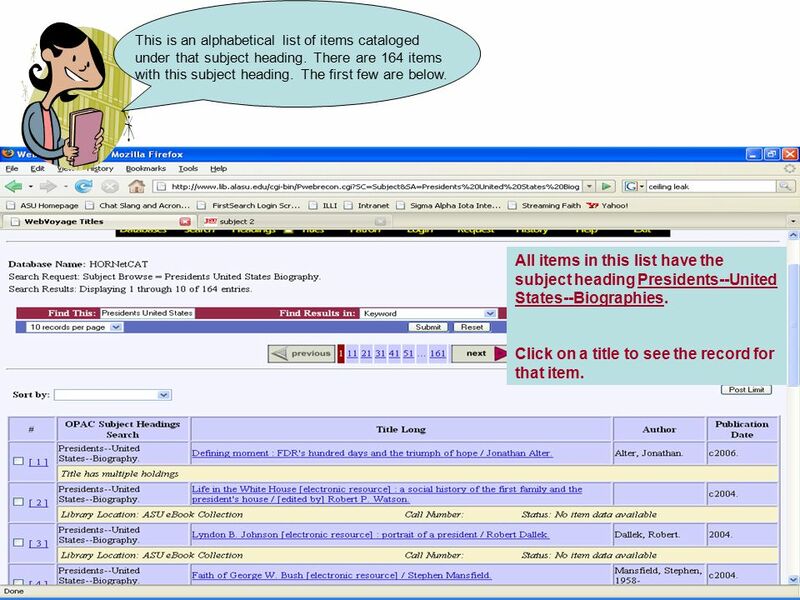 If you didn't know to use the Library of Congress subject headings when searching by subject, you might try searching for the subject of "U.S. Presidents," "Presidents of the United States," or even "Presidential Biographies." 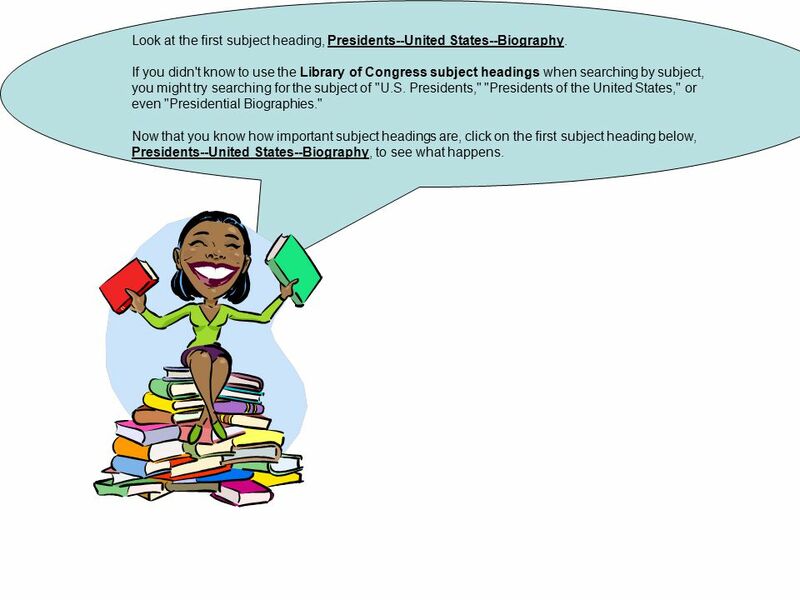 Now that you know how important subject headings are, click on the first subject heading below, Presidents--United States--Biography, to see what happens. 29 This is an alphabetical list of items cataloged under that subject heading. There are 164 items with this subject heading. The first few are below. 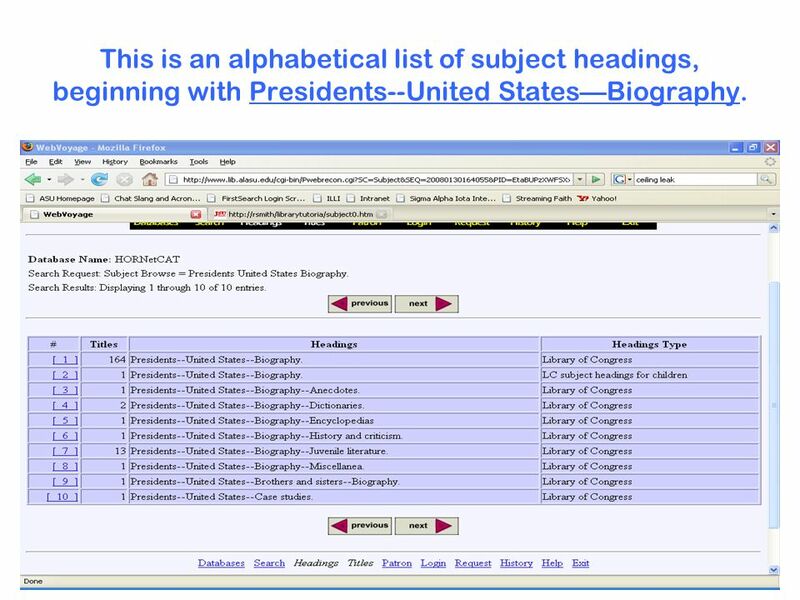 All items in this list have the subject heading Presidents--United States--Biographies. Click on a title to see the record for that item. 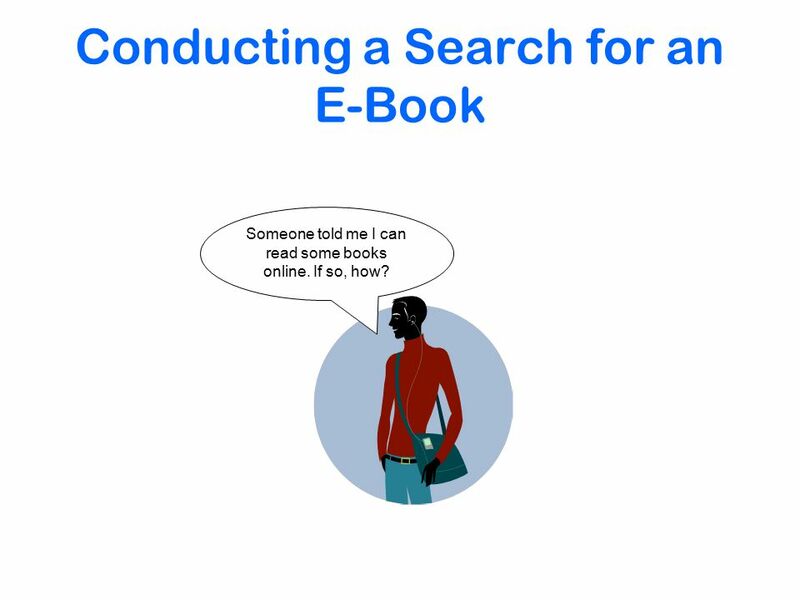 30 Conducting a Search for an E-Book Someone told me I can read some books online. If so, how? 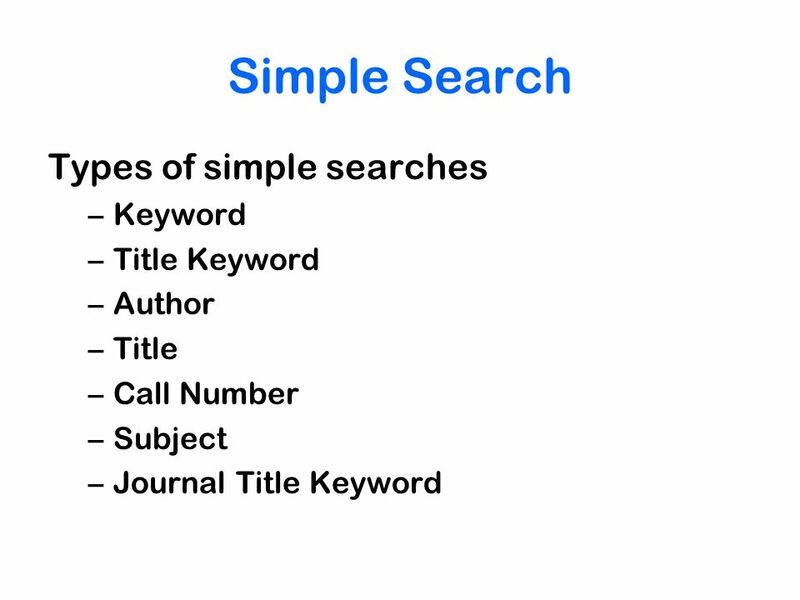 31 Begin by doing any random type of search. 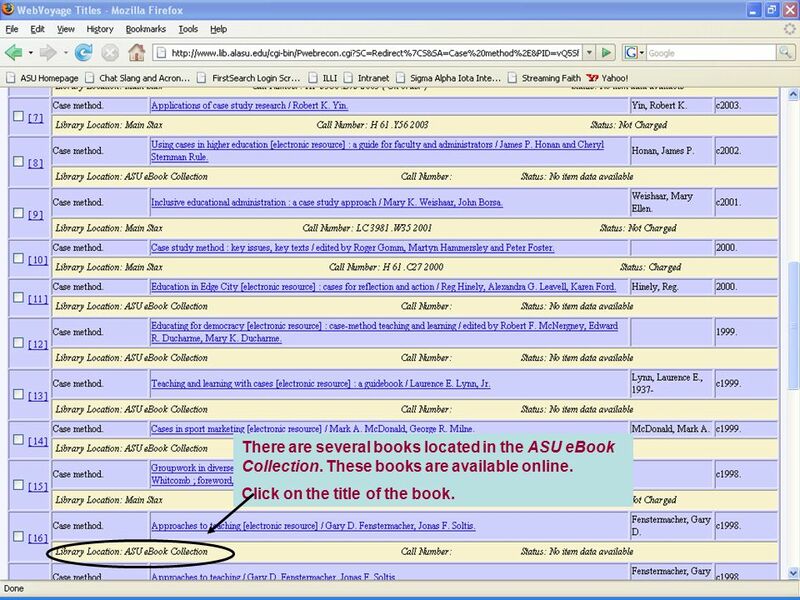 Look for items that are located in the ASU E- Book Collection. 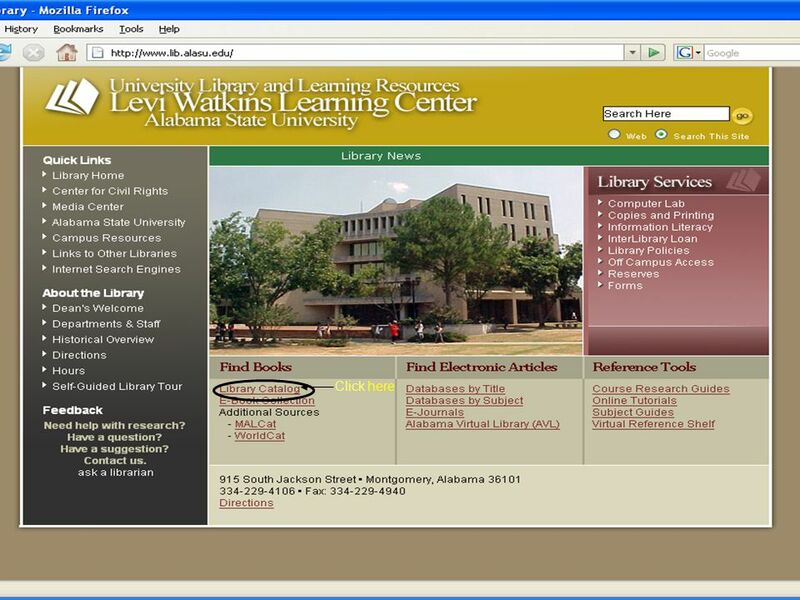 32 There are several books located in the ASU eBook Collection. These books are available online. Click on the title of the book. 33 In order to read the book, click on the link that reads, click here to read this online book. 34 From here, click on View this eBook. 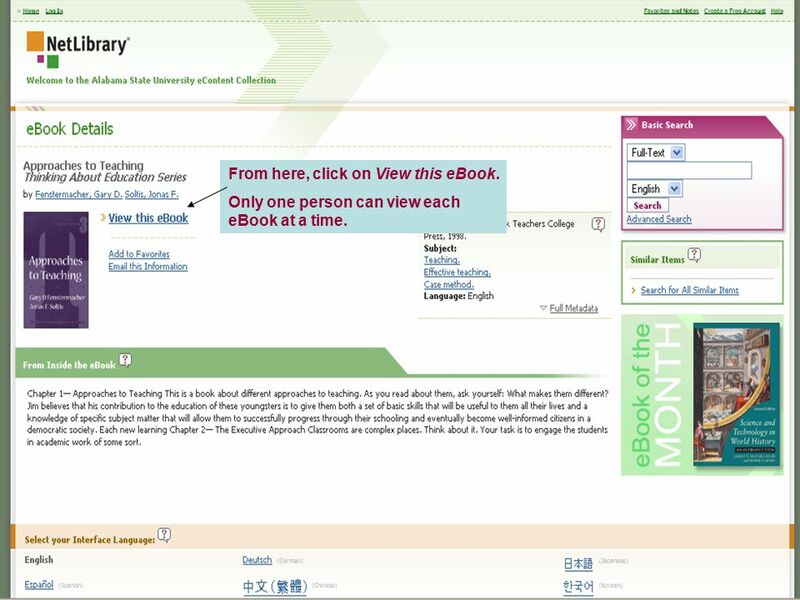 Only one person can view each eBook at a time. 35 You can read the book page by page, or select a specific page number. 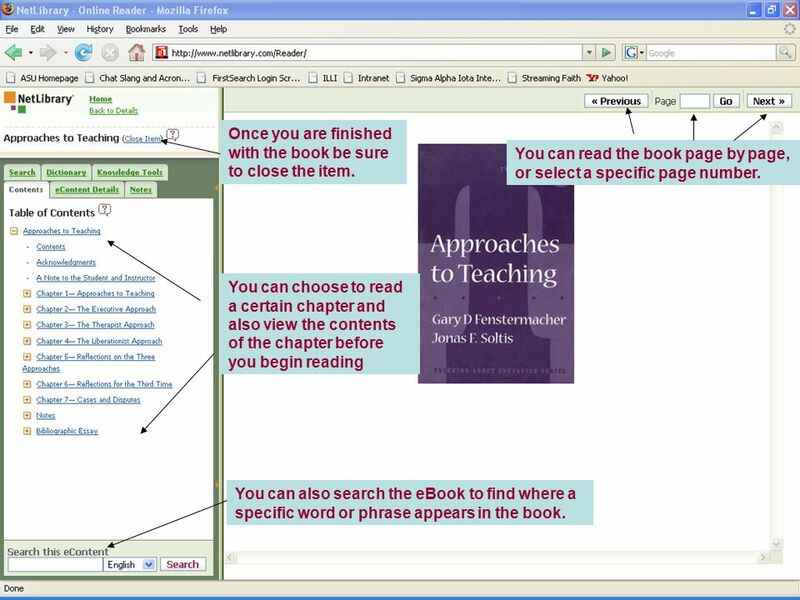 You can choose to read a certain chapter and also view the contents of the chapter before you begin reading You can also search the eBook to find where a specific word or phrase appears in the book. Once you are finished with the book be sure to close the item. 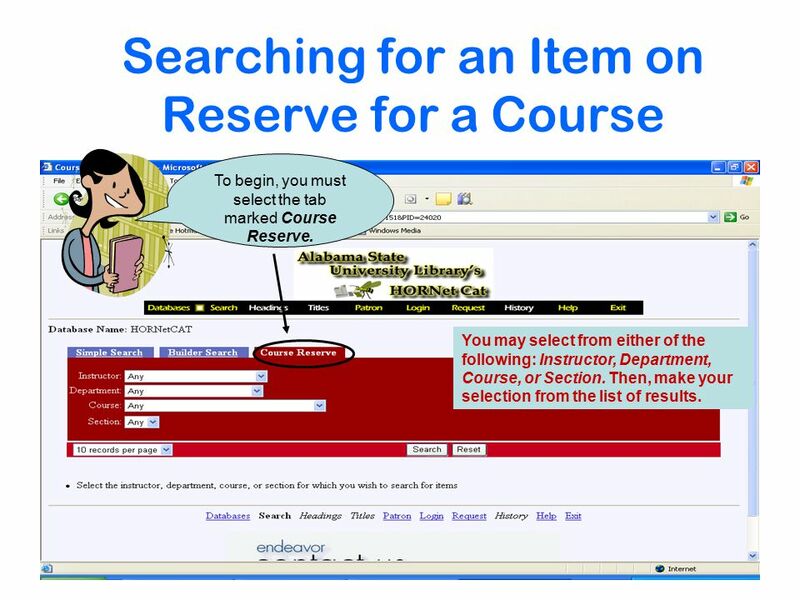 36 Searching for an Item on Reserve for a Course To begin, you must select the tab marked Course Reserve. You may select from either of the following: Instructor, Department, Course, or Section. Then, make your selection from the list of results. 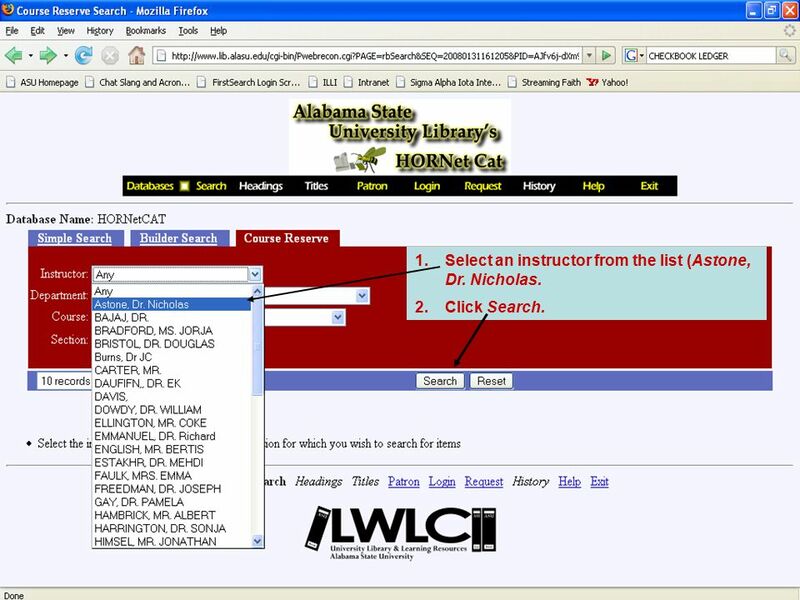 37 1.Select an instructor from the list (Astone, Dr. Nicholas. 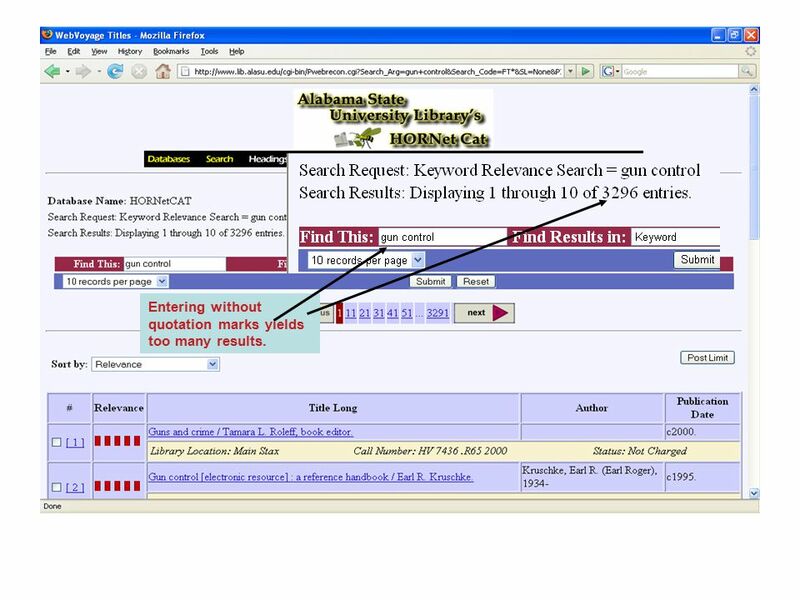 2.Click Search. 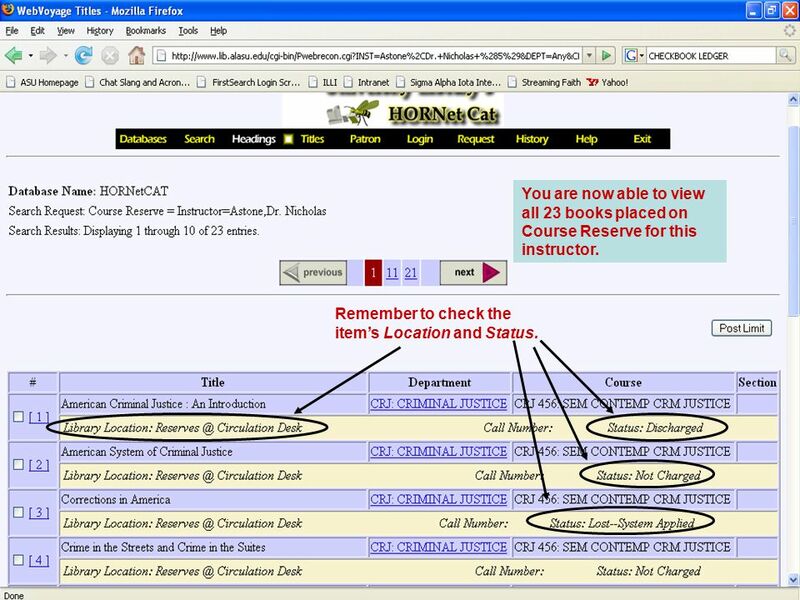 38 You are now able to view all 23 books placed on Course Reserve for this instructor. Remember to check the item’s Location and Status. 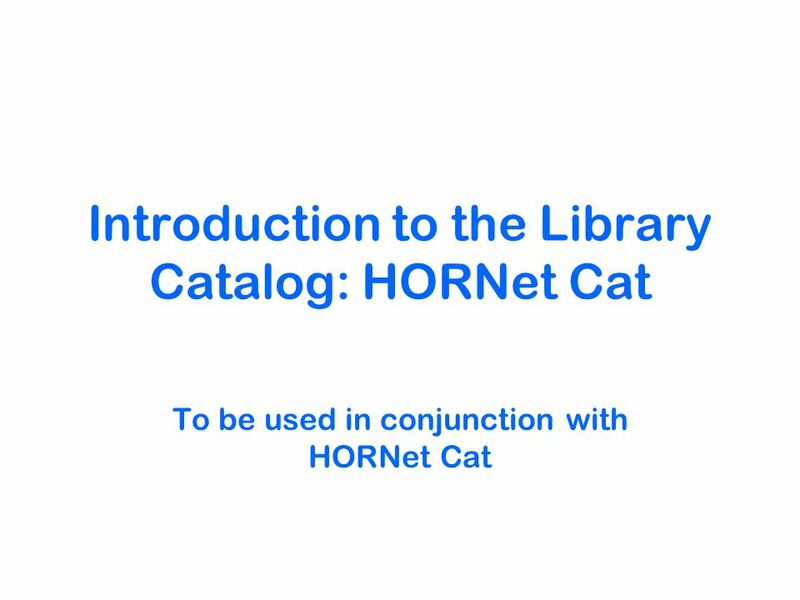 Download ppt "Introduction to the Library Catalog: HORNet Cat To be used in conjunction with HORNet Cat." 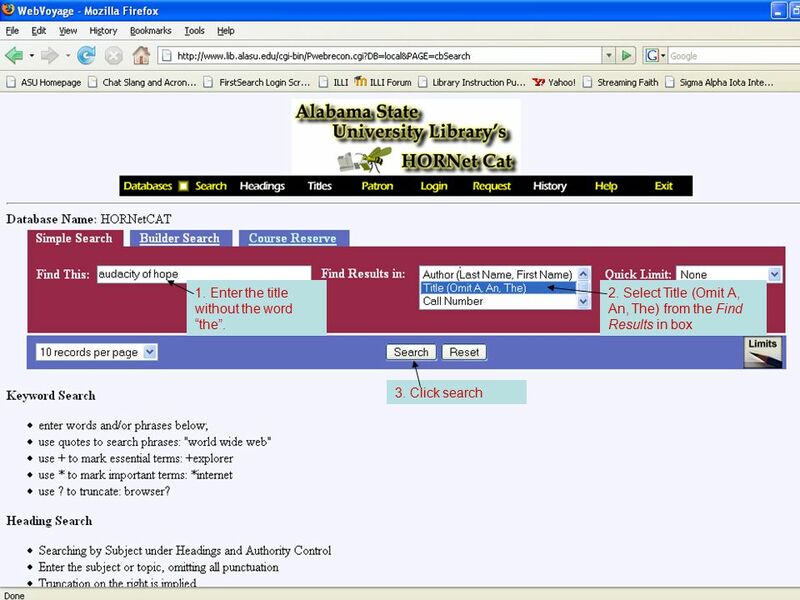 Conducting a Search in the Albuquerque Public Library Catalog. 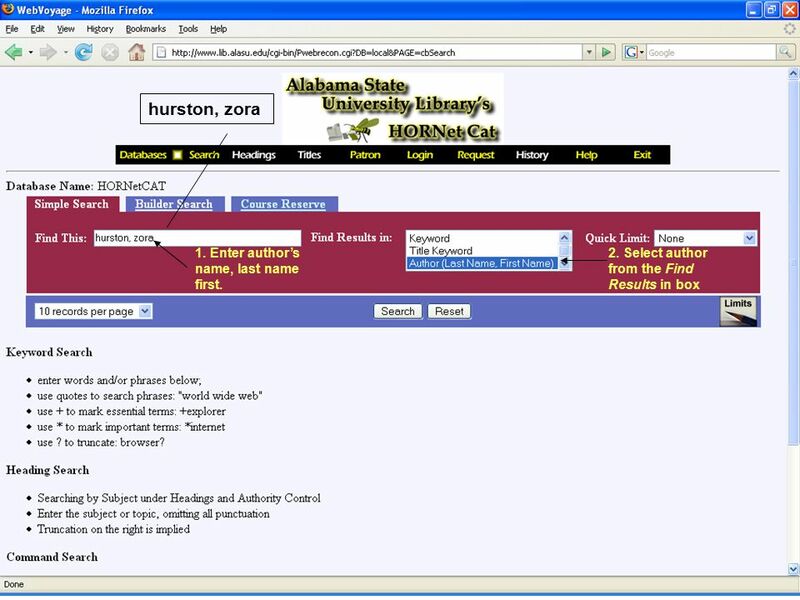 Searching EBSCOhost A guide to searching and retrieving information from the EBSCOhost Databases. 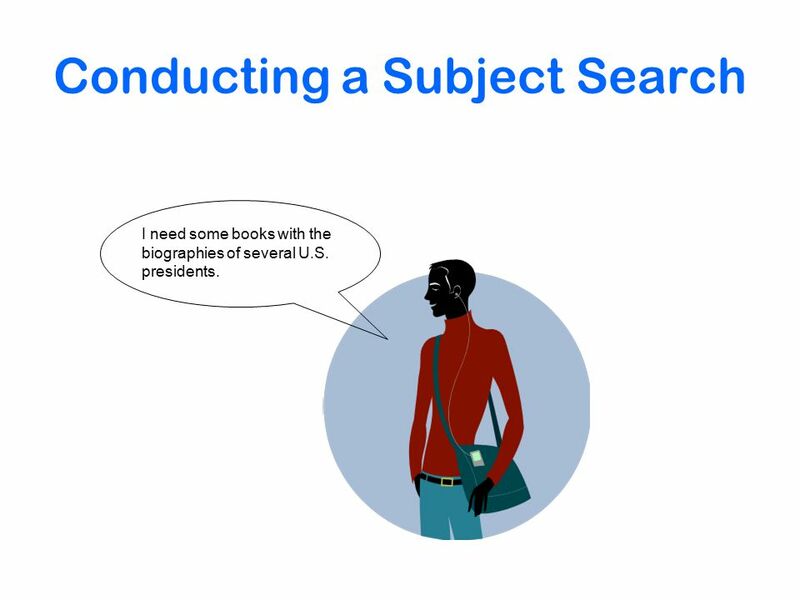 Finding Scholarly Information You know how to search the web and find information focused on just about any topic you can think of. Did you know that. SPYDUS © Civica Pte Ltd Online Public Access Catalogue (OPAC) A Self Learning Guide © Civica Pte Ltd.
Introduction to the Library Catalogue ZSL Library October 2004. Searching the Catalog at the Earl K. Long Library. 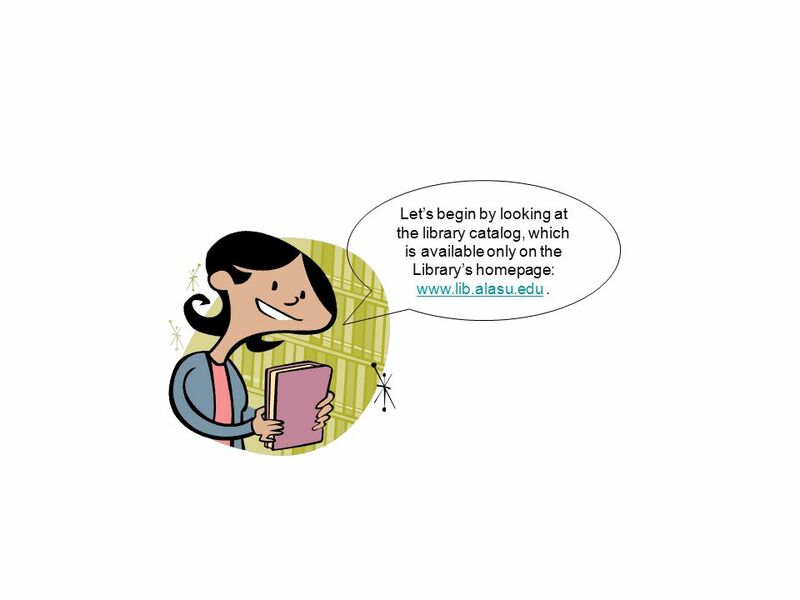 Garland Library Online Orientation. 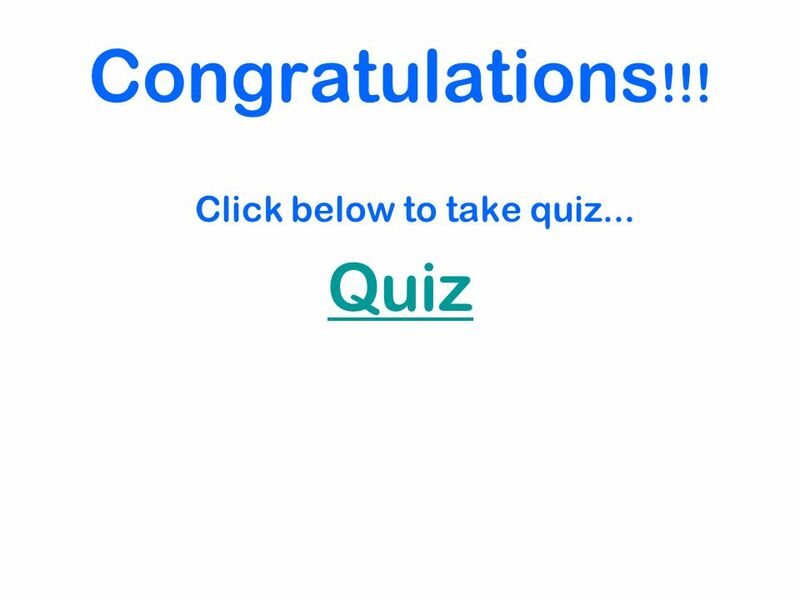 Introduction  This portion of the online tutorial is intended to help users gain the basic knowledge and skills needed. 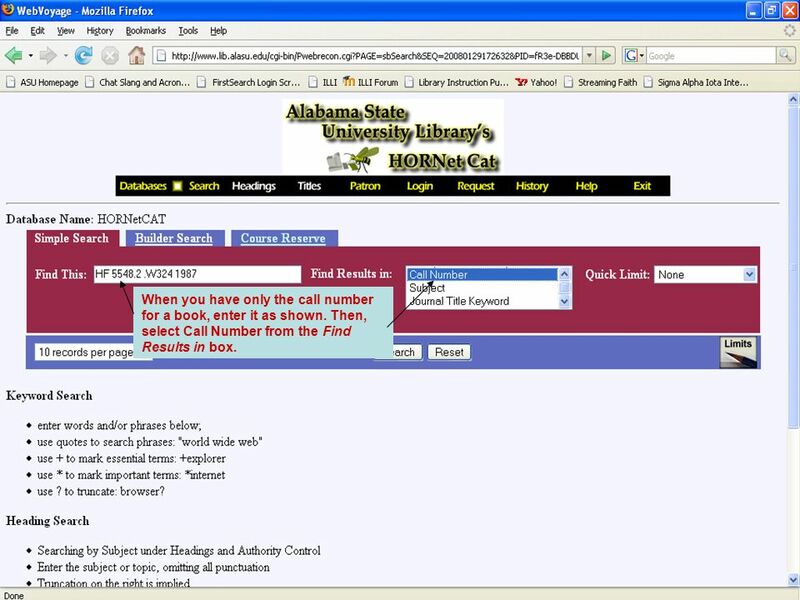 Overseas Library Catalog – Request Item Overseas Library Catalog Request loaned item. 1 Research in Nursing Introduction to Web-Based Resources at the Kean University Library. 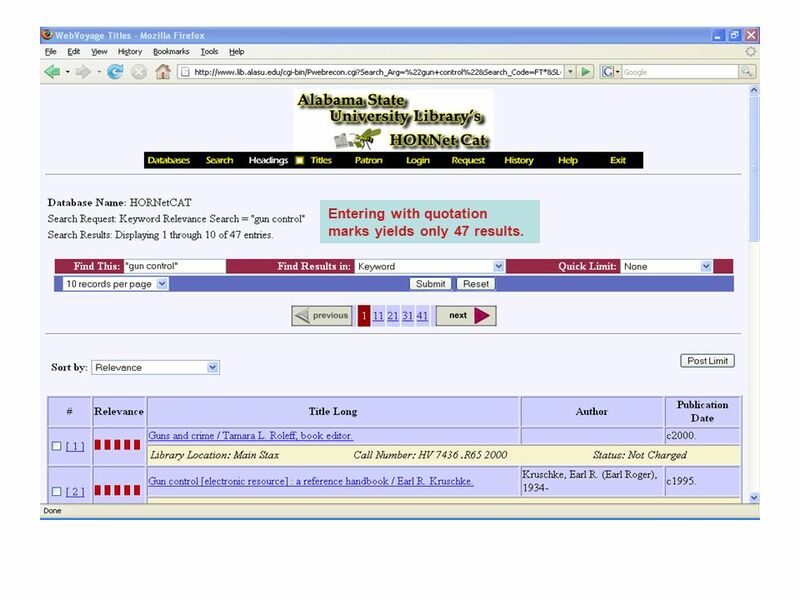 Searching the Horizon Online Catalog at JCC Rosebud Library System. 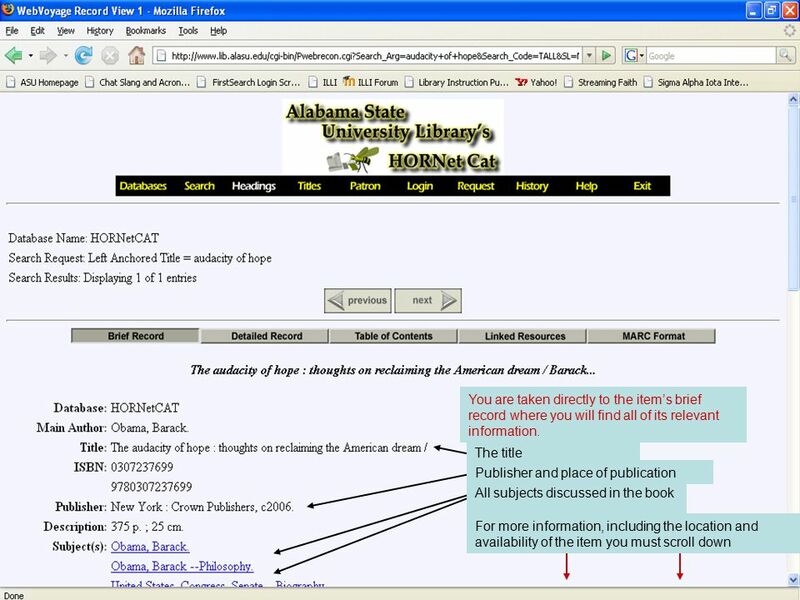 Overseas Library Catalog – Basic Search Overseas Library Catalog Basic Search by Title: “ The Middle East: geography and geopolitics” by Ewan W. Anderson. 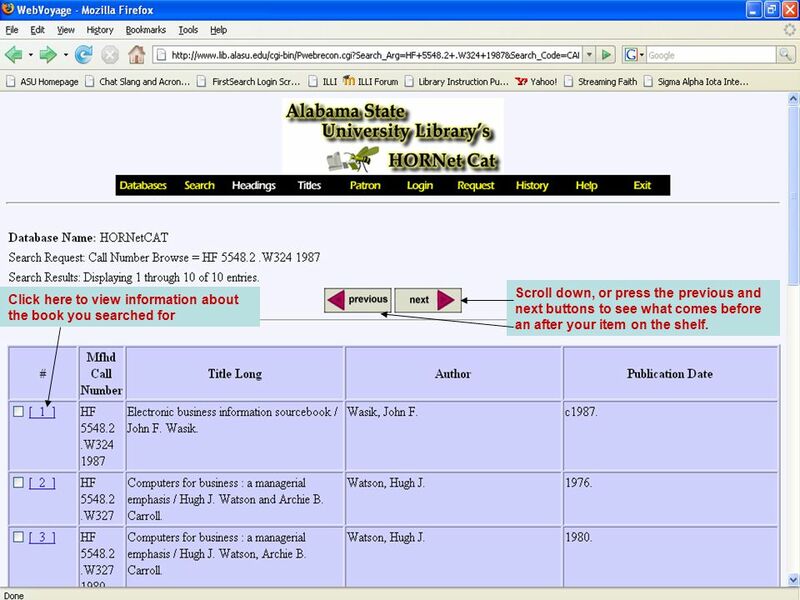 World Cat World wide catalog of libraries in the U.S., Canada, and Europe.